Do you get anxiety over things going wrong? Do you feel like you are walking on eggshells to avoid being sued in today’s litigious society? An Umbrella insurance policy might be just what the doctor prescribed. Maybe not the Dr. but the InsuranceShark will prescribe. An umbrella insurance policy sits over your homeowners, renters, condo, watercraft, and/or auto policy and it will kick in when you reach the limit of these policies. It provides additional limits of personal liability coverage, because in this day and age we know lawsuits can costs $1M or more. This policy will also cover you for things such as libel and slander, that are typically not covered under your homeowners or auto policy. An umbrella policy also provides coverage for defenses costs – which on both complicated and simple law suits can add up quickly. An example where an umbrella policy could come into play is where you get in an auto accident with an individual who is seriously injured and cannot return to work. The injured person could have medical expenses and lost wages that far exceed your auto policy, without an umbrella policy you would be at risk for paying out of pocket for these expenses once your primary limit is exhausted. Most umbrella insurers will require that you have a minimum liability insurance below the umbrella on your homeowners or auto liability coverages before selling you a $1M coverage limit. So this may require you to increase your underlying protection. 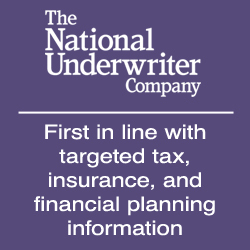 Personal umbrella typically provides “drop down” coverages, when the underlying insurance doesn’t not apply to a particular loss and loss is not excluded by the umbrella, the coverage will “drop down” to cover the entire loss, less a self-insured retention which can be around $250-$500. An example would be you make inaccurate statements to a TV news reporter or video camera, and you later get sued for slander by the injured party. A jury finds you liable for slander and awards a $1M verdict. Your personal umbrella policy would cover you subject to any retention and the details of the policy. 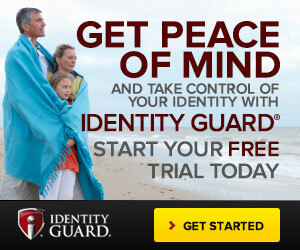 Both you and I want you to enter the Worry Free zone after purchasing this additional insurance coverage. We want you to be happy, empowered and informed. The bad news is what can happen, the good news is the solution. Buy Umbrella insurance and as much of it as you can afford, at prices about $150 to $300 per year for the first $1 million limit & decreasing costs each additional million of limit (the next million will cost about $75-100 and every $1M after will cost about $50-75)- why worry? In today’s age of increasing medical costs, inflation, defense costs and everyone has access to a recording device (i.e.smart phone), you could be much more exposed to a large claim than you realize. Each year you should be reevaluating all insurance and risk transfer programs to determine if these inflationary pressures are decreasing your protection. Anyone concerned with protecting assets or losing money due to suit should be buying umbrella insurance, it has been said to be the best buy in the insurance business. I hope the site helps readers become sharks of their own, navigating the risky waters informed, empowered, and at the top of the food chain. I will cover specific exclusions and conditions of umbrella liability policies under a separate topic but please Contact Us if you have any questions. How to read my Personal Auto Insurance policy?